Prof. Tom Perera - W1TP Second Edition. The following list shows the corrections and revisions to the Second Edition of the Telegraph Collectors Reference CD. Please email any additional suggestions. 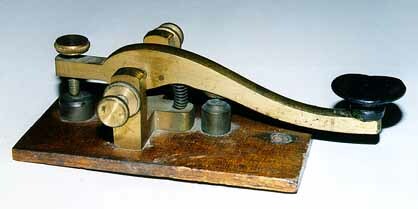 Key number 9114, the Australian Blue Point Practice Telegraph/Training Set in the British, NATO, and Australian Military Telegraph Keys section. Collector Ron McMullan points out that the proper spelling of the town is Erskineville. One of the internal links that takes you to Doug Seneker's bug list does not work. To get around this, just select his list (Item 8) from the main Table of contents. Click HERE to return to Top of Main CD Menu.